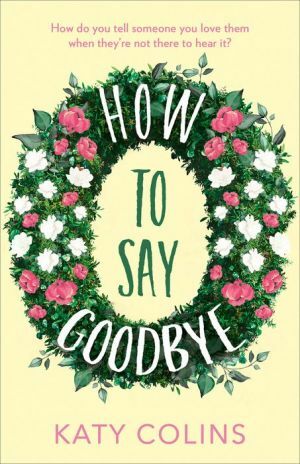 A heart-wrenching story of love, loss – and how to say goodbye to those who aren’t around to hear it. No-one is ever happy to see Grace Salmon. As a funeral arranger, she’s responsible for steering strangers through the hardest day of their lives. It’s not a task many would want – but, for Grace, giving people the chance to say a proper goodbye to the ones they love is the most important job in the world. From the flowers in the church to the drinks served at the wake,Grace knows it’s the personal touches that count – and it’s amazing what you can find out about someone from their grieving relatives … or their Facebook page. But when she accidentally finds out too much about someone who’s died, Grace is finally forced to step out of the shadows… and start living.